There are any number of novels about loss. 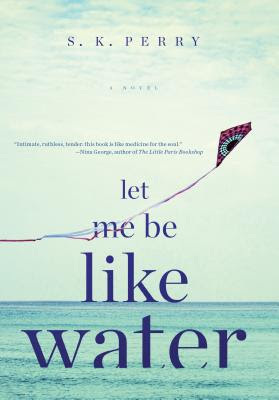 But Let Me Be Like Water is distinctive in its poetic and vivid language, which Perry uses to bring Holly's emotional roller-coaster to life on the page. Moreover, it focuses on the loss of a young life in particular. Readers' hearts break not only for Holly's immediate loss, but for the loss of all that a future with Sam may have held: a marriage, possible children, any number of small moments of intimacy. In place of all the things that can't be known about that lost future, we get what is left: raw, unadulterated grief; desperate, clinging loneliness; and a small ray of hope in the form of good friends and good food. Perry is a voice to be watched--in this case, watched through blurred tears with a box of tissues at hand. tl;dr: A beautiful tale of young love and young loss, and the magical powers of friendship to heal broken hearts.